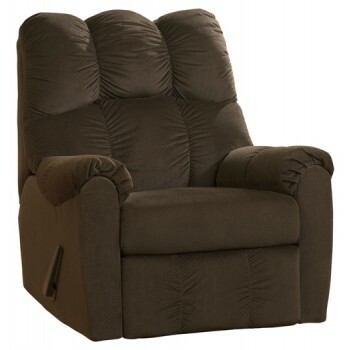 This recliner is exactly what you and everyone else in your immediate circle deserves at the end of a long day. Lofty cushions on the high-back frame pamper your neck, torso, arms and legs. One-touch pull reclines the seat and extends the leg rest for less pressure on knees, hips and other joints.